Aw. You wanted to be a travel agent when you grew up? Or a fax machine salesman? I’m sorry. Advances march through our world at ever increasing speeds, closing buggy whip factories and menstrual belt distributors right and left. Take comfort that time has also swept away many horrible, dangerous, and stinky occupations. Here are seven jobs in which redundancy is a relief. I’m not sure we can appreciate how truly foul city life was in past centuries. It is criminal that the men who implemented large scale sewer systems for cities like Paris and London don’t have holy days dedicated to them—days when everyone kneels before their toilets and gives thanks for the lives the pipes beneath have saved, and the unbearable stenches they eradicated. Before them, all you had was the Herb Strewer. And she only worked for royalty. It was the Herb Strewer’s job, from the 16th to early 19th centuries, to walk around wherever royals were going to be, throwing cowslips, lavender, maudeline, and pennyroyal on the ground. The goal was to thwart the ridiculous stench rising off the Thames, which was mostly made of poop in the olden days. The position of Herb Strewer soon became a decorated one, held by elegant ladies of court. The tradition was discontinued when Queen Victoria, the first monarch to have a functional toilet installed, ascended the throne. We’ve all watched enough cartoons to know that the Dog Catcher is the most soulless villain to have ever wielded a giant net at a scruffy canine antihero. But before dog catchers, and the pounds and shelters they work for, there was the Dog Whipper. The Dog Whipper was specifically employed by churches to keep dogs from overrunning the churchyard. Some of these dogs had followed their families to the service (indoor dogs weren’t really a thing yet); some were strays wondering where the party was and if there was food. A Derbyshire parish records the Dog Whipper was paid 7 pence a year for their services in 1604, a number which had not increased by 1716. The position began to fade in the 19th century, with one of the last recorded Dog Whippers being appointed in 1856. 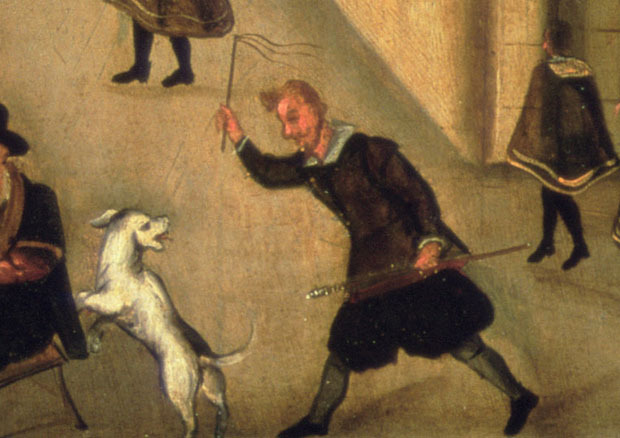 As a bonus, Dog Whippers were often also employed as “Sluggard Wakeners,” and got to use their long-sticked whips to poke the heads of drowsing parishioners. Mudlarking hasn’t so much disappeared as it has evolved; it’s gone from the wretched last resort of the starving to a part-time hobby beloved by retirees. 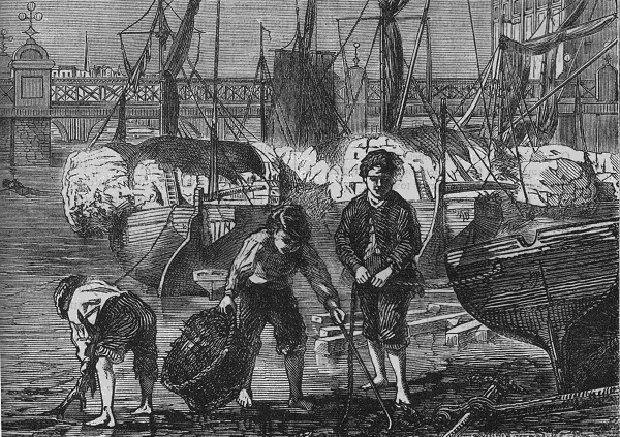 Back in the day, mudlark was a name used to describe people, usually children or the elderly, who would scour the shore of the Thames in 18th and 19th century London. 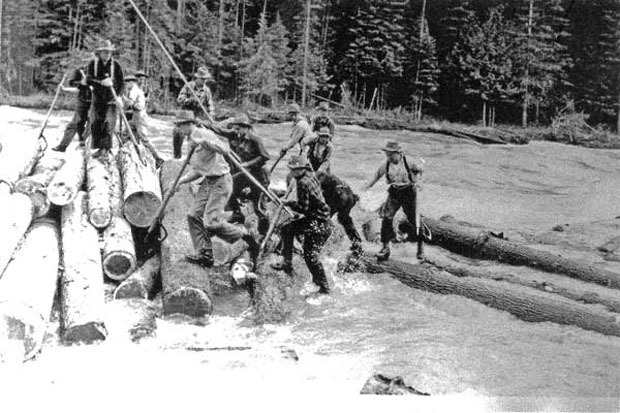 They collected anything of saleable value: lost goods, copper, coal, iron, rope, anything that might fall into the river (or in some cases, swiped off a passing barge by an especially daring Mudlark who could swim). Today people enjoy mudlarking the Thames with a metal detector as a pastime, and have been known to uncover amazing finds. 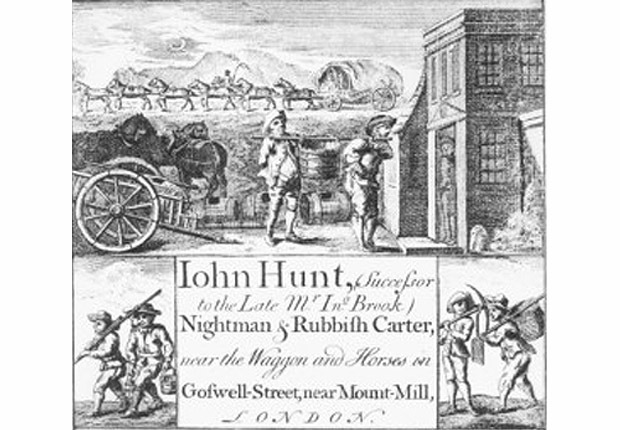 Of course it’s not the true mudlarking experience, as today’s scavengers miss out on all the dead carcasses (sometimes human), rotting garbage and sewage of the good old days. 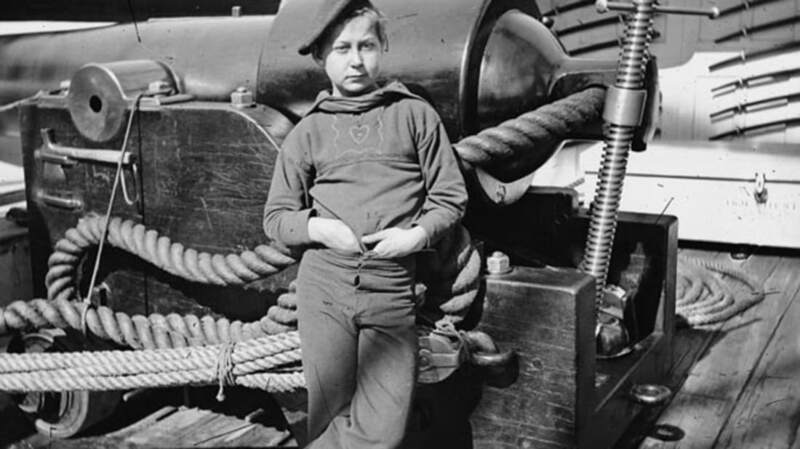 Child labor was often a cruel necessity in a world where there wasn’t enough of anything to go around. Families needed the extra wages more than they needed their kids to have a childhood. 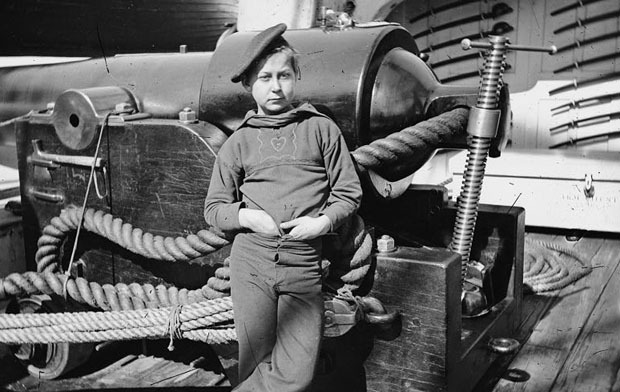 A peculiarly adventurous addition to the drudgery of most child labor was the position of Powder Monkey. Unlike most child labor, a 13-year-old boy might convince himself this was something he wanted to do. From the 16th to the 19th centuries, mighty sailing ships were integral to the endless wars that circled the Western world. These ships had cannons, which needed to be resupplied with gunpowder after every fire. Powder Monkeys were chosen because of their speed and smallness. It was their job to keep running powder from the safety of the hold to the artillery behind the gunwale. A lot more exciting than farm work or woolen mills—but then again, farms and mills were less likely to be blown up by Napoleon. History is full of animal sacrifice, papal indulgences, and ritualistic confessions, all meant to leave a soul without sin. Sin-eaters were living sacrificial lambs, except they didn’t get slaughtered, and sometimes they got beer. 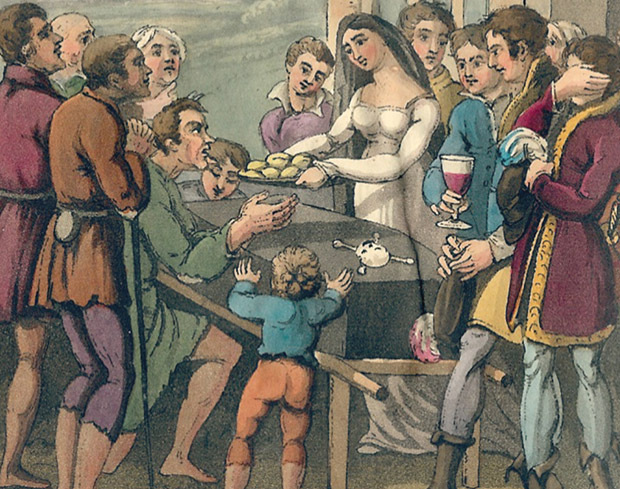 In centuries past, these social outcasts performed a dire service to the people of England, Scotland, and Appalachia. They took the sins of the dead or dying onto themselves, leaving a clean soul ready to ascend to Heaven—a soul who, hopefully, would be much less likely to stay around haunting the living. To accomplish this, a piece of food, usually some kind of bread, was placed on the chest of the deceased, often with ale. There it absorbed the evil inside the body, and then was consumed by the Sin-eater. He was paid a small amount for his services, and the plates or bowls he’d used to eat were burned. Sin-eaters were considered an abhorrent necessity, as it was believed each sin they ate added to the corruption of their souls. Proper waste management has done away with so many careers. Take the Gong Farmer. Seems nowadays nobody wants a man to come to their house at night, dig out all the feces under their privy, and carry it to a dump where it can recycled as fertilizer and building materials. But up until the end of the 19th century, these men were in high demand. They were only allowed to work at night (thus the more respectable term of “Night Man”), were liable to get diseases, and sometimes were required to live far, far away from all the non-poop-scoop people. But they were paid quite well (six pence a day during Queen Elizabeth I’s reign! That’s worth working chest deep in unspeakable horror, isn’t it?). To really enjoy the experience of the Gong Farmer, I recommend you go here, and have some fun catching poo in a basket. Watch out for the wee!